Is VR the next pit-stop for e-Commerce? Brick-and-mortar retailers can bring digital capabilities into the store experience, and they can online create virtual experiences to generate more sales. We don’t how big challenge will Voice and VR be for Marketers. But for sure, VR is a challenging issue for the e-Commerce industry. This industry is always changing, evolving and pushing business owners to try new things in order to avoid business failure. Technology, holidays, seasons, data, promotional offerings, and events – they are all impacting e-Commerce businesses in one way or another. In virtual reality, we’re placing the viewer inside a moment or a story… made possible by sound and visual technology that’s actually tricking the brain into believing it’s somewhere else. In this ever-changing medium/channel, the only thing that helps you stay successful is keeping up with trends and industry’s best practices at the same time. Once upon a time, trends and evolution was part of the legacy companies only, but today the online economy practices have become accessible to anyone. VR assisted shopping will put more emphasis on in-person brand experiences. CMO’s and Brand owners are aware of their long-boring (same-old) event experiences, and they know that consumers seek more personalized interactions with brands. 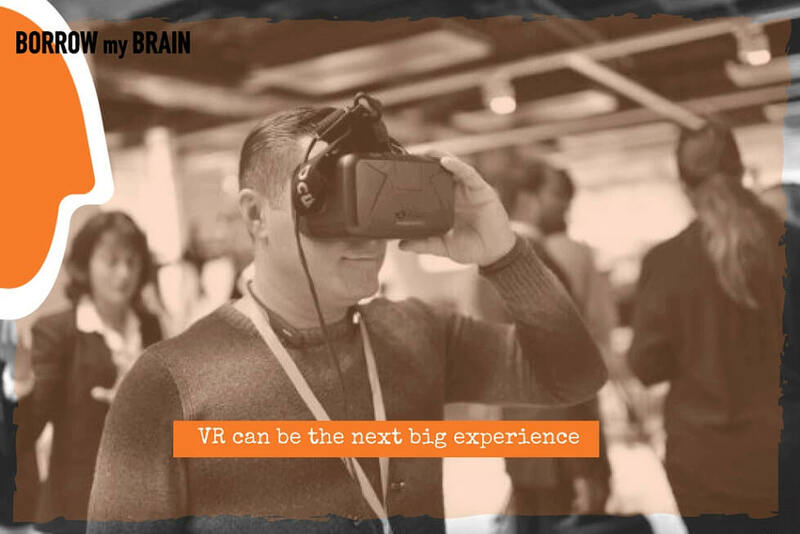 (VR)-Commerce will bring the potential for entirely new shopping, event, purchase experiences and new kinds of added value. In e-Commerce, the conversion rate is just an indicator (you can cut prices, do extraordinary offers etc). But can VR help the revenue per visitor, or help to a higher cart value or lead towards more expensive products? Possibly. It will be an addictive experience platform. It will need heavy infrastructure investments by e-Commerce owners. It might be exploited primarily by the big market players (Amazon, Alibaba). Let’s set things straight. VR is an interesting new addition/tool, but still at an expensive (commercial) level, to use and scale. But there are already a lot of companies experimenting with it, so we’re convinced that we will soon see lower-entry solutions (scalable and accessible in terms of cost) at least for the big e-Commerce platforms. Before VR, in Europe, we do have a more pressing issue. Unfortunately, only 1 out of 5 businesses sell online as Eurostat shows. It is accurate to estimate that this figure will change fast, for the better, but lacking behind developed markets is stealing energy and a new mindset for business owners. If you are a retailer, VR-evolution shows the constant disruption we will be going through for years, and how shaky is the business world’s old-logics. Let us be cynical: if you are doing marketing, or you’ve invested time and money in a special digital-something course, how VR and e-Commerce will change the marketing delivery model? If you are a marketing employee, how VR will change your employer? Possibly, the retailer is going to be pitched by some technology provider to use V-Commerce, saving on the costs of employing marketing and digital employees (possibly You). Either VR, where consumers use headsets, or Augmented reality (AR), where customers will use their camera-equipped smartphones to get information (prices, sizes, collections) are just a click away from the sale. As many as 69% of current AR and VR users (Ericsson Consumerlab survey) think the technology will empower even more smartphones with all the benefits of stores in just 3 years’ time, and as many as 64% even think that at that same time, almost all shopping will commonly take place through the smartphone. The short answer is, we think, most likely not. As we know, shopping is not about merely buying things, but instead, it is an emotional and experiential journey that makes you (or you wish to feel) happy. This applies to both the digital and the physical shopping experience. This social aspect of shopping can’t disappear overnight. In Shanghai, the city that’s already leaping into smartphone shopping, as many as 43% of respondents say they often go to a mall to just enjoy looking at everything. Do you want to sit on your couch and climb up the Eiffel tower? Or walk on the glass horseshoe at grand canyon? Wild Within is a VR app available for experiencing travel through rainforests in Canada, for example. Travellers around the world are able to experience a helicopter flight around New York City or a boat ride around the Statue of Liberty. Traditionally, automakers have the showroom to show the cars to the customers and explain their features, while sometimes a test drive is also possible. But customization of how the interior will look as per their choice was not possible, something that can now be done via VR. Audi is experimenting with this in London, where customers can configure their Audi with accessories as they want and drive virtually in real time. The Google’s ‘Expedition’ is designed to allow teachers and students to take immersive VR journeys in the classroom. Google also plans to deliver VR training to teachers to show the many ways the technology can be used. Some schools in the UK have already begun embedding VR technologies. Where does VR fit in the above context? We think that our behaviour is ready for VR. We live in a 3D world and our brains are wired to interact with a 3D environment. However, a lot of our daily lives come with a 2D filter: the screen on your smartphone, laptop, tablet or TV. With VR and 360-degree cameras, it is possible to get an experience closer to the 3D world outside our current devices. Just by using Google Cardboard together with your smartphone, you can transport yourself in seconds to walk the streets in another city, visit the inside of a horror movie, spend a few minutes in a Syrian refugee camp, or perhaps explore the deepest ocean trenches. It was 2014 in Mobile World Congress when Ericsson used the VR platform and 5G network to connect a joystick from Barcelona to Stockholm driving a big bulldozer. It’s still early days, but these tools can revolutionize the way we experience things. Until we see a large scaling of VR, smartphone shopping will peak on the global economy, as the store will move more into every user’s hand. What does that mean? That until VR comes low-cost, so to speak, responsive e-shops, better design, and measurably UX flows on smartphones will deliver. Last but not least: AI-powered assisted shopping. An expanding reality will, of course, have a huge effect on several different aspects of our lives. From how we socialize to how we shop, work and travel. It is easy to speculate on how this will play out and all the areas that could be improved with a virtual dimension. But there will be challenges too (digital security for example). The on-going technology evolution will take us on a long journey full of disruptions: new tools, shorter times, better experiences, new competence and skills, and on-going learning (especially for business owners). Be prepared to be on the front of learning and use such new ventures/tools. Don’t stay unprepared and reckless. Brick-and-mortar retailers can bring digital capabilities into the store experience, and they can online create virtual experiences. The rich experiences can generate more sales. Are you preparing to be relevant and considered as an experience-unique-offering?